Opening a dialogue among management, welders, and protective-equipment suppliers is a wise idea for keeping pace with ever-changing workers environments. There is a significant need for welding professionals to expand their safety dialogues, particularly with regard to personal protective equipment (PPE). In order for this to occur, it is essential that the nature of these conversations and engagements be improved. Two approaches must take place for success. First, the mindset of the welders needs to be grounded in both individual and shared accountability. There should be the individual commitment of, “I will work safely,” plus a team commitment of, “we will work safely.” an individual must feel responsible to their teams and be empowered to take active roles in promoting safety. In this way, welders can internalize safety-oriented mindsets and ensure safer work practices are followed by all workers every day. Second, welders should be active participants in the safety-mitigation process and conversations. This engagement needs to emphasize their understanding of the factors that influence their decisions that could lead to injuries, as well as thoughtful dialogue about how to make critical safety decisions. The openness and accountability that results ensure stronger dialogue as welders identify and address safety gaps in PPE. 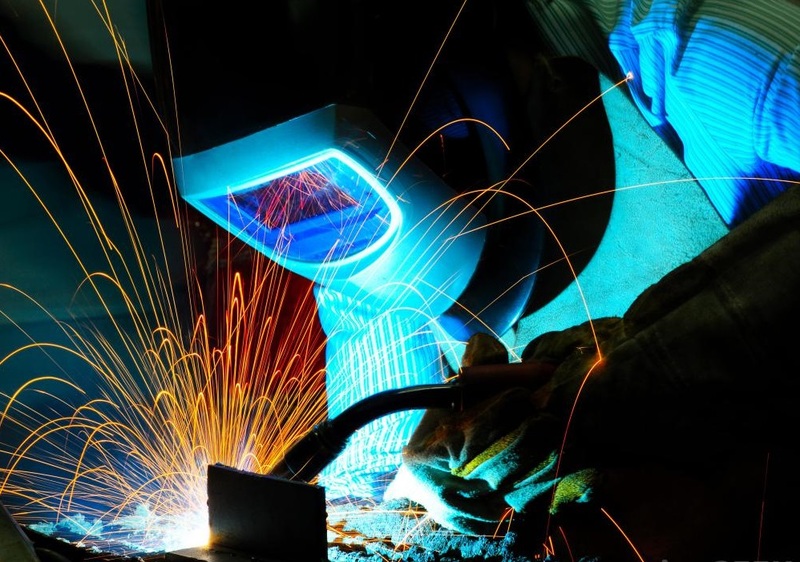 Through the expansion of safety dialogues, the welders will be better equipped to develop innovative risk mitigation solutions, being more adaptive as workplace environments change, and, most importantly, show an improved ability, to proactively avoid situations that could result in an injury. The openness and accountability that results ensure stronger dialogue as welders identify and address safety gaps in PPE. Through the expansion of safety dialogues, the welders will be better equipped to develop innovative risk mitigation solutions, being more adaptive as workplace environments change, and, most importantly, show an improved ability to proactively avoid situations that could result in an injury. In order to talk to the workers and managers about improvements and advantages & disadvantages to safety and PPE gaps, welders should also discuss with their issues and problems with safety product manufacturers to help them identify ways to eliminate injuries or fatalities due to gaps in current safety methods and PPE. This collaborative dialogue not only benefits welders by having their voices and concerns heard but also helps PPE suppliers provide better equipment based on welders need and experiences. To make an upgrade to the present PPE available, it's important that welders have a strong understanding of the factors influencing their work practices and performance. The attention of work practices helps determine that professionals are wearing welding helmets and types of PPE properly, and the ways in which welders are interacting with PPE on a daily basis being used correctly. When observing the workers using welding helmets with auto-darkening filter technology, the focus should be on whether workers are lifting their helmets up and down or removing their helmets totally. Safety managers should begin dialogues with these workers to learn their reasons for not using the PPE appropriately and find ways to encourage them to use PPE correctly. Proper fit, critical to workers acceptance, is one of the biggest factors affecting PPE usage. Workers are most likely to comply with PPE protocols when the equipment is more comfortable to wear. Observing work practices can lead to improvements in workplace safety enforcement, policies, and standards, and draw workers attention to the hazards present in the workplace. The findings have helped not only welding professionals but also benefited safety product manufacturers. Instructions help employers, workers, and safety managers evaluate their use of PPE during operations involving isocyanates, utilize effective wipe sampling evaluation methods, and implement proper housekeeping measures, including cleaning frequency and methods assessment. In response to the new instructions, safety managers and welders serving the automotive, aviation, and metal-manufacturing are discussing the various ways to address and mitigate the impact of isocyanates in the workplace in collaboration with safety product manufacturers. As part of this movement toward more innovative safety solutions, welding professionals should ensure they are asking the right questions in order to understand their particular safety needs. Here are four questions that should be asked. What welding applications am I doing? A welder could be doing multiple types of welding, or more specific type of welding, such as arc welding, resistance welding, solid-state welding, etc. The various welding applications require different PPE to ensure the welder is fully protected from injuries. Welders should have the opportunities to openly discuss the various welding applications to determine the PPE that is most appropriate for their particular work tasks. These discussions will likely help determine the area of improvement to current PPE. What are the lighting conditions in my work area? The lighting conditions during a work task or in a specific work area (e.g. Ambient light, indoor vs outdoor lighting etc.) will have a significant impact on PPE selection. For example, lighting conditions are particularly important to determine the appropriate protective eyewear. Proper illumination when welding is also essential for the optimization of safety, comfort, and productivity. This is another occasion where welders can discuss ways to improve visibility without compromising vision protection and safety. What else am I exposed to beyond physical environmental exposures? By asking this question, a welder can ensure he or she is taking all necessary precautions to identify and mitigate potentially harmful workplace exposures. For example, welders can experience occupational exposure to manganese in certain welding fumes. Exposure manganese may be harmful, especially while working in confined spaces such as storage tanks, pipeline, or airplane compartments. To minimize exposure, air-purification and welding-fume extraction systems can be implemented. By discussing these possible solutions, there can be more effective strategies developed to reduce the impact or chance of exposure. What additional ways can I protect myself and those around me by using proper PPE? This is an important question to ask before beginning any welding application, as well as when observing others working. By taking time to assess the PPE needed to be worn and the associated safe work practices, a welder is empowered and held accountable to identify any potential safety gaps in the workplace and adjust his or her PPE accordingly. This shift in thinking ensures safer actions are being taken. The promotion of this mindset also catalyzes the conversation between safety managers and workers and guides safety product manufacturers to develop improved PPE.